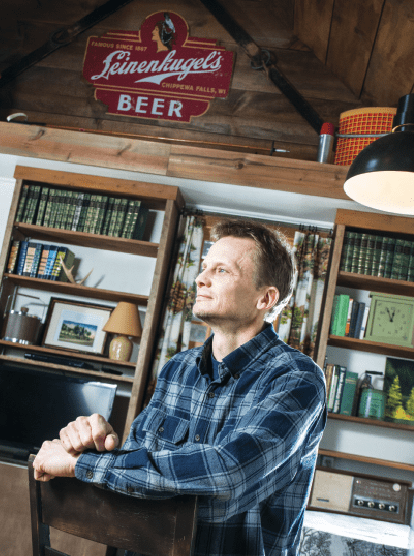 Writer Matt Elstran and his wife have owned The Hideaway Resort in Chippewa Falls for over two decades. The Hideaway Resort in Chippewa Falls has been in Matt Elstran’s family for three generations. His grandparents opened the resort in the early 1950s. Growing up, he spent time there with his cousins, sometimes doing yardwork for the venue. Now Elstran and his wife have owned The Hideaway for the past 22 years. It’s not exactly surprising, then, that Elstran’s novel, Emily, is set primarily at the Hideaway Resort. Elstran wanted to write a novel that was set at the Hideaway Resort, and then leave copies in each cabin for visitors to read during their stay. At just under 200 pages in large type, it’s an easy book to tackle over a long vacation weekend. It took Elstran about a year to write Emily, working a little bit every evening. He used Create Space to self-publish the book, with his 8-year-old daughter providing the cover artwork. Elstran stresses that while the book is fiction, he has drawn from his own life experiences. There is one real life “character” that makes an appearance in the book. At the beginning of Emily, there is a black and white photo of actual Hideaway guests posing with a canoe. This canoe is featured prominently at the beginning of the book. Set over the course of 25 years, Emily follows the Vincy and Brooke families, who first meet one summer at The Hideaway Resort in Chippewa Falls. As time goes on, their lives become intertwined in ways no one could have predicted. The hesitant romance between Emily Brooke and Tim Vincy is at the heart of the story, but the book depicts other forms of love as well. The love for family, the love for traditions, and the love for places we hold dear in our hearts. “The plot wanders a bit, and I’m not sure if that’s good or bad,” Elstran said, laughing. Although he is still trying to decide what he wants to be when he grows up, he can certainly add “Author” to his resume. 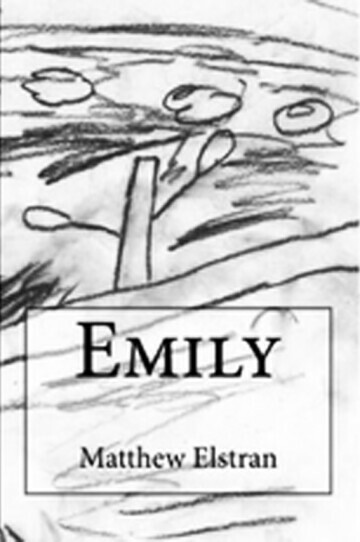 Matt Elstran’s debut novel, Emily, is available at The Local Store.